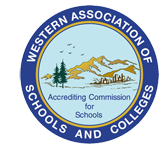 Since 2006, Areteem Institute has been holding summer camps at prestigious universities in major cities all across the states. 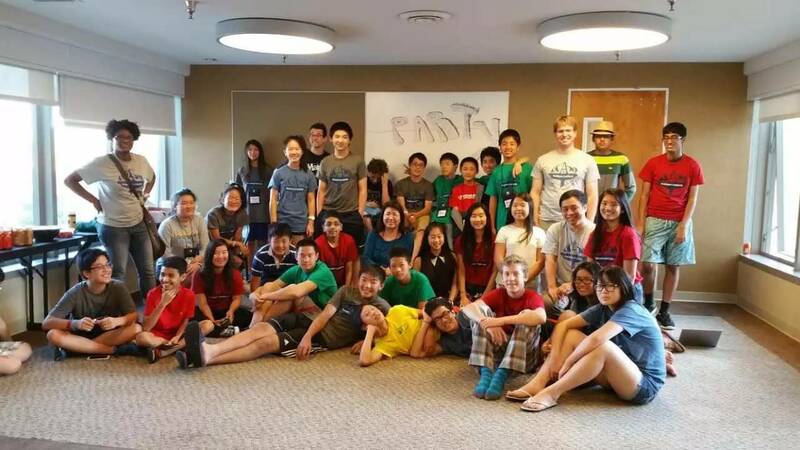 This year, we had our three summer camp locations in UCLA (Jun 21st-Jul 10th), Boston College (Jul 12th-Jul 31st ), and University of Chicago (Aug 2nd –Aug 15th ). 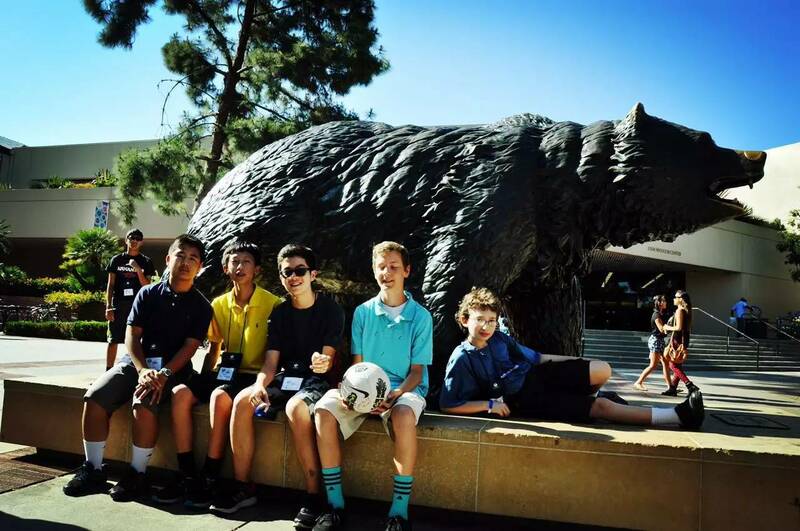 Let’s take a look at our colorful camp life at UCLA first! First day of the UCLA camp, Ms.Kelly Ren showed us camp pictures of Areteem alumni who are now studying in top universities like Harvard, MIT, Stanford! 90% of Areteem alumni proceed to Top 20 universities! After check-in, head counselor, as well as Director of Student Services & Outreach at Areteem Institute, Cameron Yanoscik, gave students and parents a campus tour. Cameron has his B.A in Comparative Literature from UC Davis and besides being multi-lingual has four years of ESL teaching experience in China! Campers with the mascot of UCLA: Joe Bruin. Every afternoon, from 4:30 to 6:00PM, it’s outdoor activity time for Areteem campers! UCLA has good recreational facilities open to our campers allowing them to have fun playing: volleyball, swimming pool, soccer and basketball to name a few. Here you can see academic director Dr.Wang, one of the very first two Chinese IMO team members. He also has teaching experience at UC Irvine and UCLA. 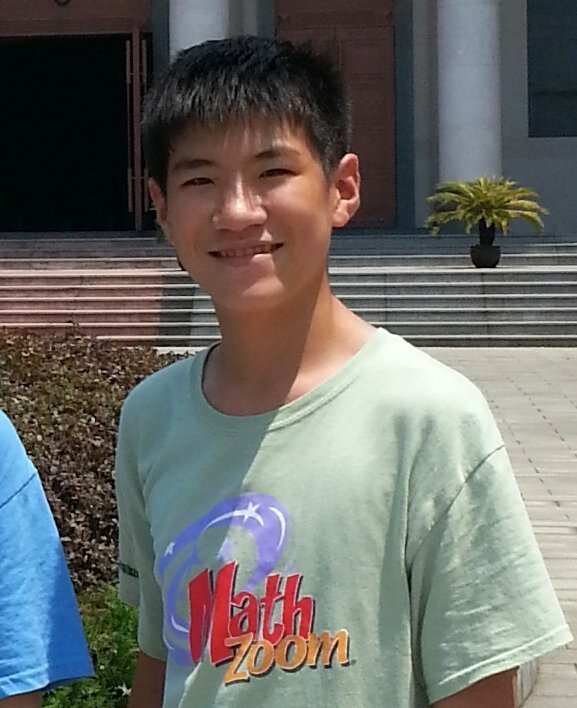 The USA team, finally won the 2015 International Math Olympiad. This was 21 years in the making and we couldn't be happier! 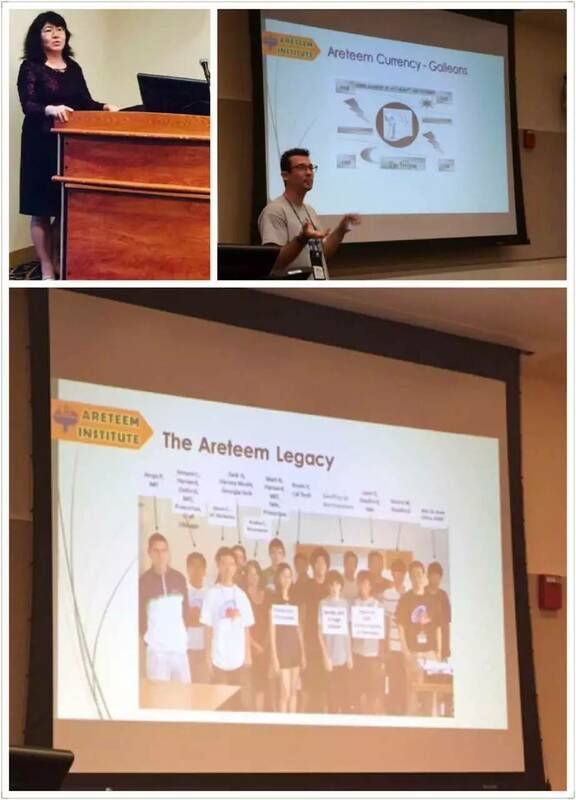 Among the six team members, half of them (Michael Kural, Yang Liu, Shyam Narayanan) have been trained by Dr. Wang at Areteem summer camps! Let’s see how these gold medalists used to look like when they were in Areteem camps! 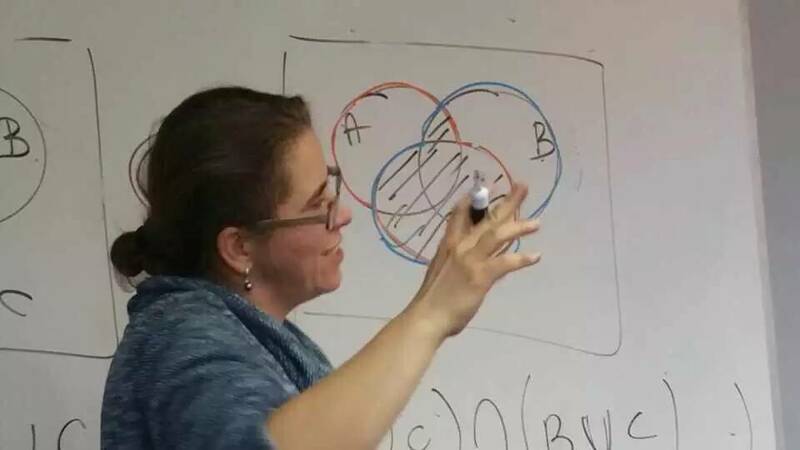 Dr. Mihaela Vajiac, previous Romanian IMO member, now math professor at Chapman University, has been with Areteem since 2009. Ms. Kelly Ren gave students advice from a judge’s point of view. (Let’s start from how to shake hands with your judge to leave a good impression?). ZIML(Zoom International Mathematics League) is launched by Areteem to provide an interactive and competitive platform for students passionate about math from all over the world. ZIML is held twice every year during the summer at the Areteem camps online on a daily and monthly basis. Whether the student is in the US, China, France, Russia, or any place in the world, as long as he/she has access to internet, he/she can be part of our online ZIML at ziml.areteem.org! This is a picture from the first ZIML onsite competition this summer. Doesn’t the timer on the screen make you want to give it a shot? In ZIML, there are individual and team rounds. This picture shows how students made use of every second to discuss the right answer in the team round. Tick tock! UCLA campus is located minutes away from the ocean and downtown Los Angeles, closeby is the Getty Center and the Westwood shopping area. The campus is a perfect combination of artistic architecture and modern buildings. This picture shows the modern dormitory where Areteem campers stayed at. The students were assigned double rooms and there were laundry and recreation rooms on every floor. Counselors and the camp directors lived in the same dormitory as the students and built a very close relationship with students by the end of the camp. Every evening, Areteem's counselors arranged activities for campers. Discussions on career paths and STEM competitions along with fun leadership and communication games were conducted. 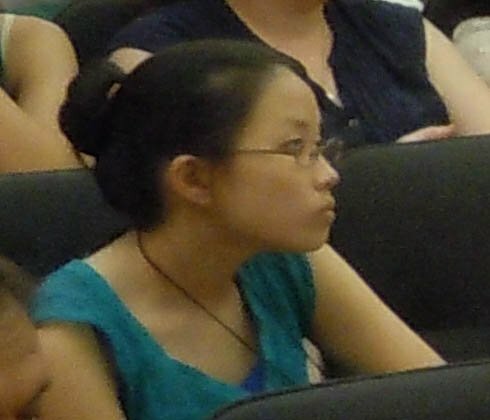 In one of the seminars, Dr.Wang introduced some basic knowledge of computer programming and career paths to the campers. Students fascinated about coding were so excited! One of the evening activities designed to train students included giving impromptu speeches. The helped students with their presentation and communication skills. 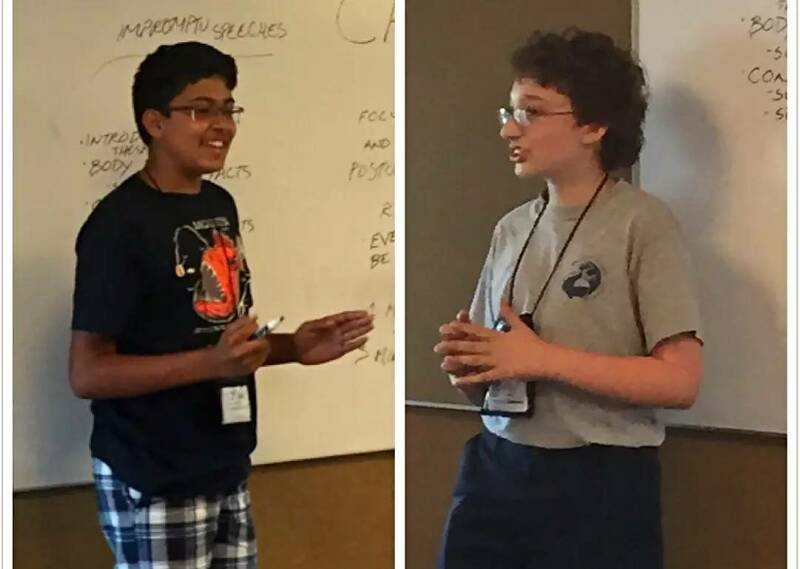 Some of the Areteem campers’ speeches were quite impressive! 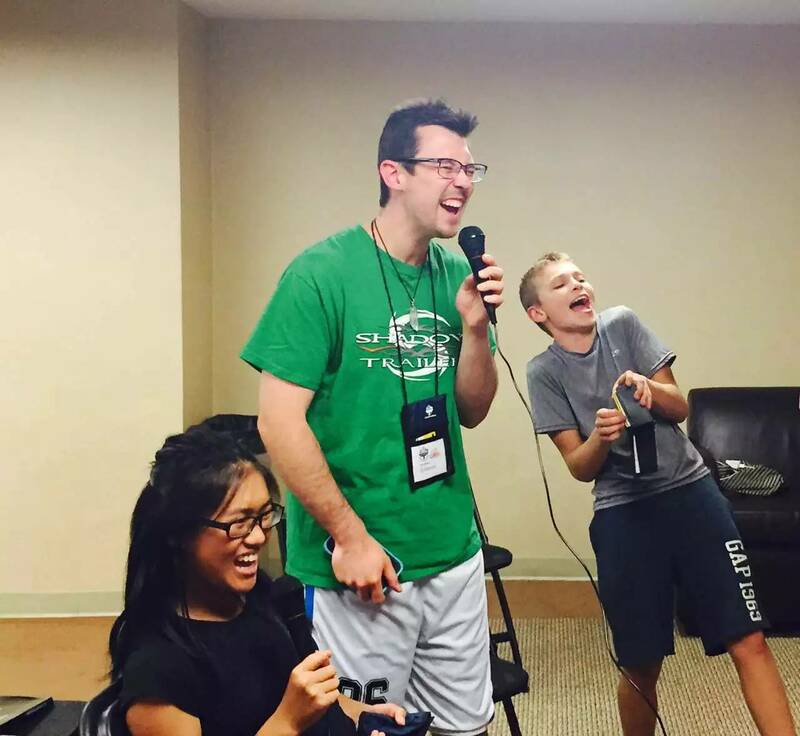 Karaoke Night in the recreation room. Students had a great time singing pop songs with counselors! At the closing ceremony, Areteem campers showed all kinds of talents! Playing Violin, Piano, Pipa, poem recitals, etc. Campers expressed their love for the camp life in their own ways. 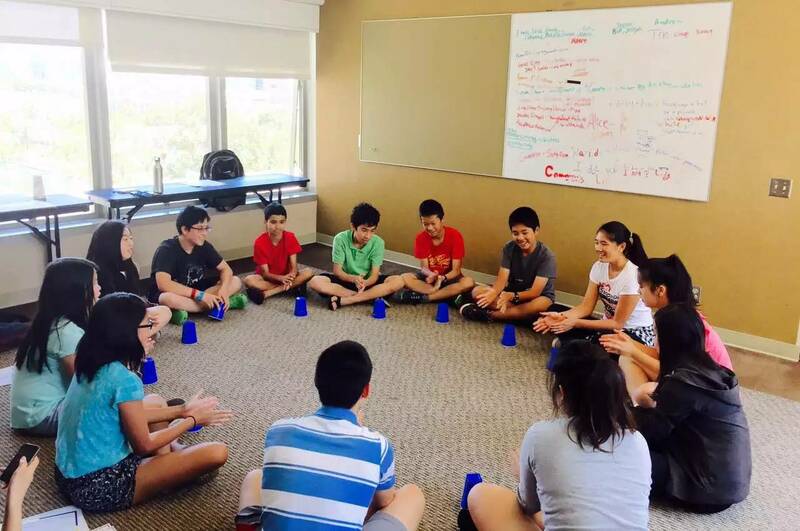 The Cup Song in the picture is a demonstration of team work at Areteem camp. The campers only practiced for one evening, and they presented a perfect Cup Song with complicated rhythm! Another aspect of camp life at UCLA that couldn't be missed was the dining experience! 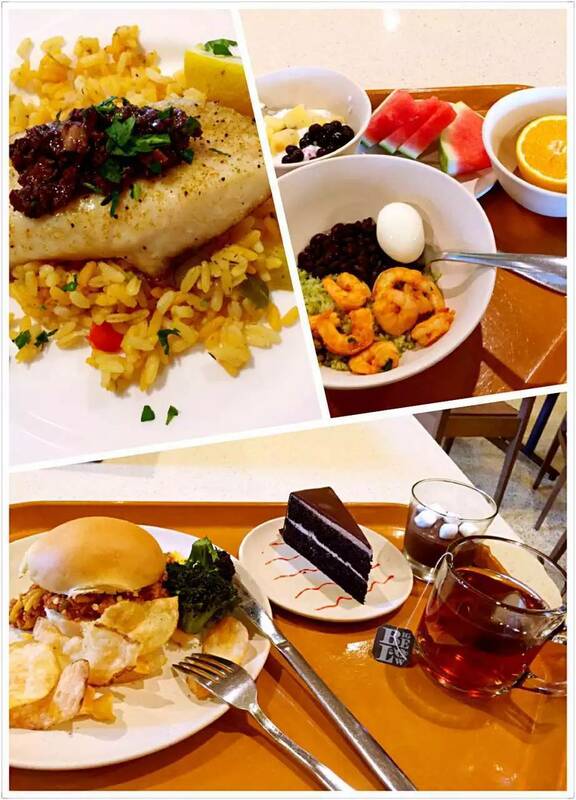 UCLA's cafeterias are ranked second place in college food and dining! Whole sets of buffet from breakfast to dinner ranging from Asian, European, American and Mexican cuisine meant you could always find your favorite food here! 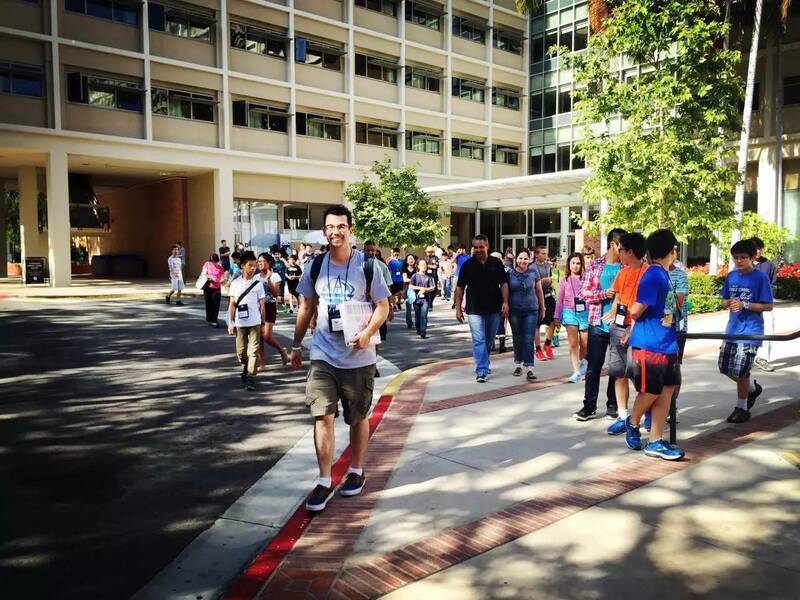 During the three week camp at UCLA, Areteem arranged wonderful field trips for students. The trip to the famous Six Flags not only gave students an exciting day, but also helped prepare them for the science classes in the following week. Back at camp, students were able to construct and test their own model roller coasters! 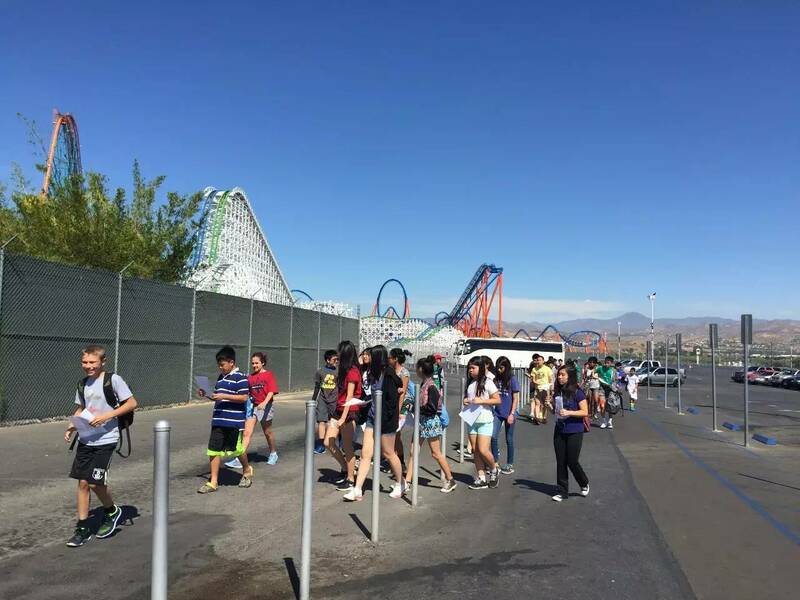 Students enjoyed learning how science applies to the real world especially when riding roller coasters at Six Flags Magic Mountain. 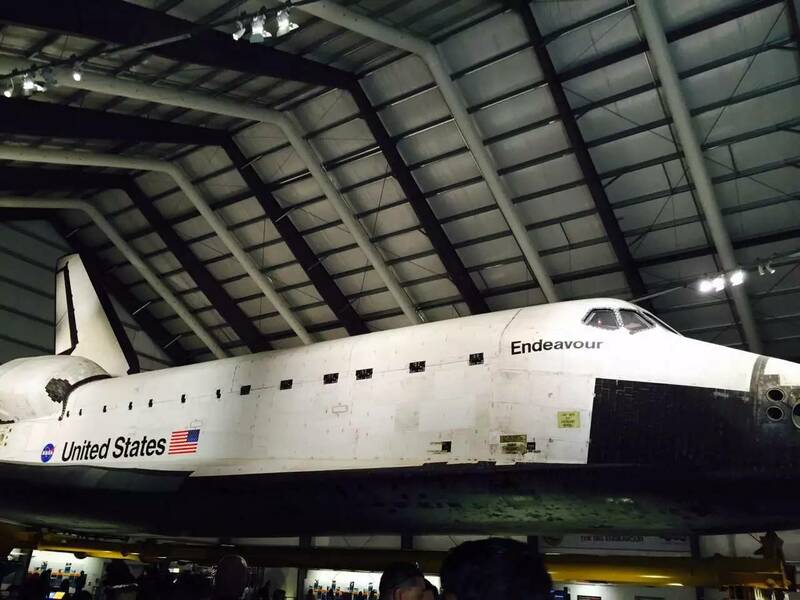 In addition, the trip to the California Science Center allowed students to take a close look at the space ship Endeavor. Luckily, UCLA campers got the chance to spend July 4th together this year , as it’s right in the middle of the three week camp! Areteem went to the Rose Bowl and enjoyed a splendid array of fireworks and a Beatles cover band! At the end of the camp, although feeling sad saying farewell to everyone, campers left with all smiles!